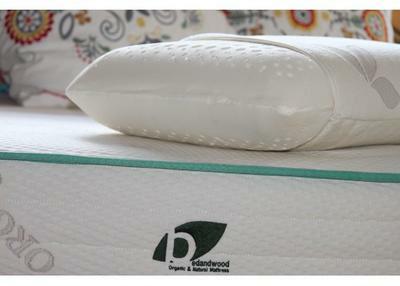 Bed and Wood is a natural mattress company that specializes in cotton and latex sleep products. 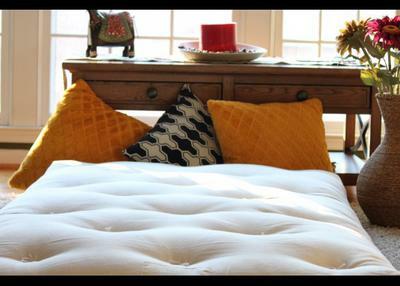 Located in Virginia, this company is unique as their founders slept on these surfaces during their growing years and want to bring the same comfort to American bedrooms. Simaya, natural latex mattress is reversible and made in 9“and 5” profiles, being that there is a firm latex foam one side and a medium soft latex on the other side. This two-sided mattress is designed for you to decide between a plush surface or a harder firm foam. The 4” height latex bed is popular with owners of RV or bunk beds, this is also an option to replace your mattress topper. 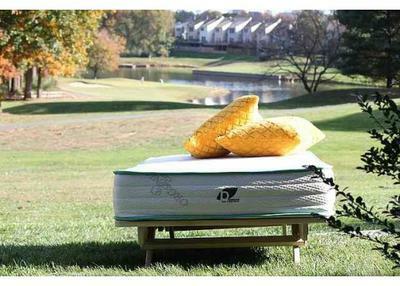 Urnamaya, a completely organic futon made in a 100% GOTS certified facility in the US. The cotton and wool is not just fully organic but is sourced from Texas and Portland. The outer organic cotton fabric or the ticking is from India, the entire mattress is assembled and hand tufted in the US. This is the most complete organic cotton fill mattress; the feel is of a luxurious yet firm sleep surface with the beautiful natural aroma of organic cotton. Bed and Wood also completes your sleep experience with pillows and protectors. The natural latex pillow is firm rubber foam that is 6inches height. It is beautifully encased in an organic cotton cover that is so soft and premium that you may not even need a pillow case. 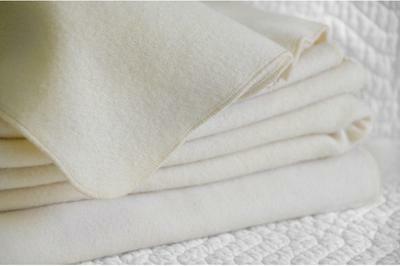 Besides the latex pillow, they also provide a natural kapok cotton pillow that is soft and organic. It is the best soft pillow if you love the feel of polyester fill or feather fill. Mattresses can always be soiled or spoilt with accidents, un foreseen spillages. They help protect your mattress with an organic cotton mattress pad and an organic wool protector, both 100% organic and when combined together can repel up to 2 cups of liquid. These are not water proof but are significantly water resistant and helps keep the organic nature of your mattress or if your bedsheets are such. Bed and Wood has one of the most competitive prices on the internet and have almost a 99% customer satisfaction rate. They are especially popular with new home owners and new parents looking for organic and natural sleeping products.